Great stop over very friendly, clean and food was great. A nice clean historic hotel. The proprietor was very friendly and accommodating. The dinner at the hotel was very good. Very friendly proprietor and staff. A nice small quiet town and excellent location for visiting the small villages in the area. Very close to Rocamadour but not touristy. The room was comfortable and mostly quiet. The town is very pretty and so is the outside appearance of the Hotel. The breakfast in the morning was served in a really pretty room which went some way to redeem its awful bedroom. Good central location, pleasant helpful reception. Nice to have a bath as well as a shower. The staff - very welcoming. Nice hot shower. Great view over the square. 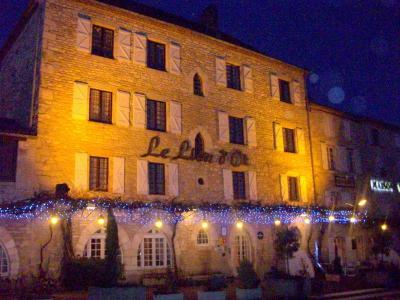 Like French hotels of my childhood! Friendly staff and very helpful. The owner is a marvellous cook and the food was exquisite. 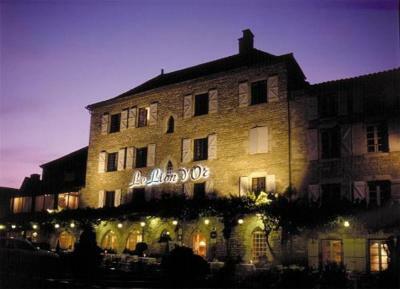 At the heights of the Causses du Quercy Regional Park, this hotel is 6 miles from the historic town of Rocamadour. It features a terrace and rooms with free Wi-Fi. The air conditioned guest rooms are equipped with a radio and a TV with satellite channels. 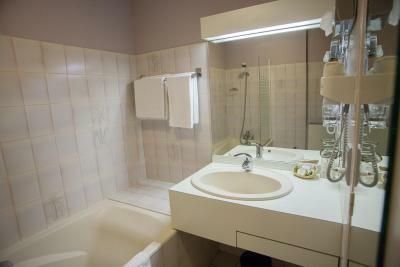 Each room has a simple décor and a private bathroom with a hairdryer. Le Lion d'Or features a gourmet restaurant using fresh produce and guests can enjoy a drink in Le XV bar. A continental breakfast is served every morning. Room service is available upon request. Tours and excursions can be arranged from the tour desk at Le Lion d'Or. With free public parking nearby, the hotel is 6 miles from the Padirac Cave. 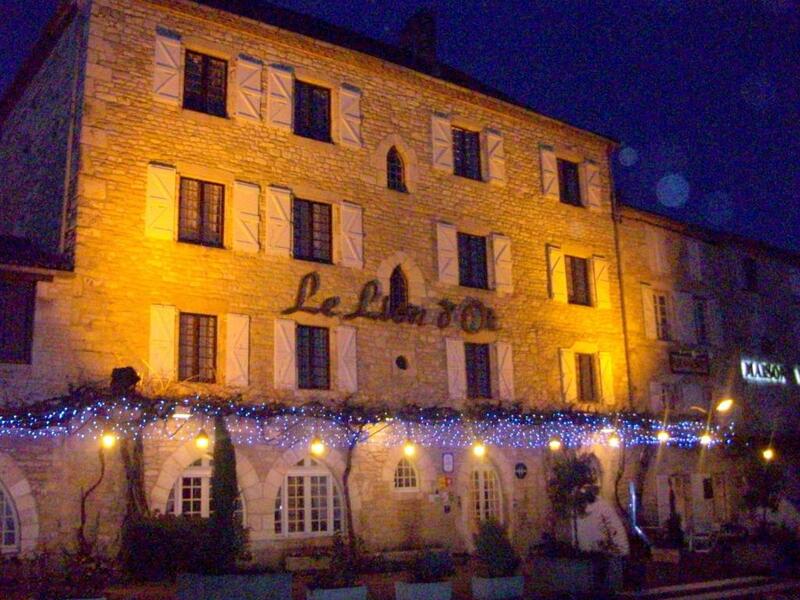 When would you like to stay at Le Lion d'Or? 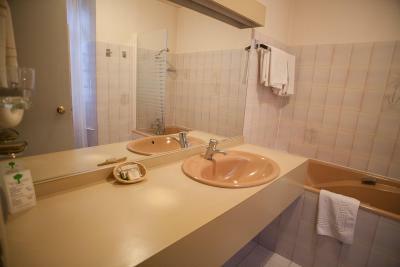 Fifteen tastefully furnished and comfortable double rooms. House Rules Le Lion d'Or takes special requests – add in the next step! Le Lion d&#39;Or accepts these cards and reserves the right to temporarily hold an amount prior to arrival. Le Lion d'Or accepts these cards and reserves the right to temporarily hold an amount prior to arrival. The hotel accepts Holiday Vouchers as a method of payment. Supposed to be a ‘superior room’ Small room, a bit tatty and dusty with stains on bedside table. The cleaner never empty the bin in the room and never change the shower gel. Bit dated and tired but hey, the staff were great do who cares! Parking directly in front of the property. Toilet space a little cramped. The older high bath/shower was a little difficult for us at this point in our lives. There were few guests in this rathe large hotel. Around 2 in the morning we were awakened by some sort of business with trash dumpsters in the alleyway. It went on a long time and it's difficult to believe it could not have been anticipated. The room didn't feel clean. Gramat is a nice little town. The room is comfortable and quiet. We had most of what we expected. I wish I'd looked at the reviews before booking! The room was meant to be deluxe but was a poky room, which had 50/60s cheap, shabby furniture. The bathroom was a joke. The price is outrageous for the room. The owner didn't give us a code or key as promised and disappeared so that we had to wait until another guest phoned him to let us in. Also, we had the worst meal in France ever at one of the town's restaurants. Reading this review I know it sounds as if we are 'complainers' but it really was a shame. It's a pretty town and the only poor experience we've had in our many visits to France.